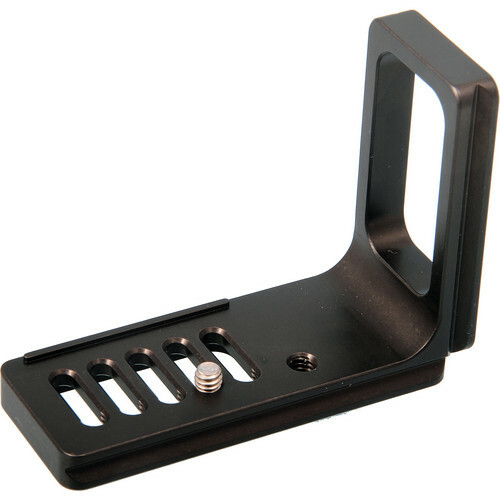 The Small Camera Standard L Bracket from Jobu Design is an Arca-Swiss-compatible L bracket designed for use with small DSLRs, mirrorless cameras, and point-and-shoot cameras with adjustable slots. It's machined from solid 6061-T6 aluminum with a black finish. It's Arca-Swiss compatible on both horizontal and vertical surfaces. Access to all switches, buttons, etc. Do you have dimensions for this?